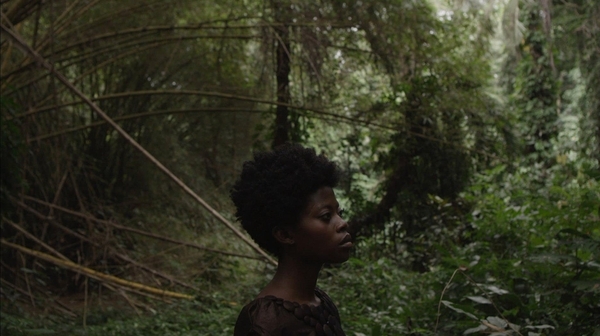 A look back at some of the best short films screened at Afrika Eye in previous years. Eyefull consistently provides a fantastic opportunity to see short snippets of life and stories from all over Africa and the African Diaspora. Check back soon for full programme details. The fable of Kwaku Ananse is combined with the story of a young outsider named Nyan Koronhwea attending her estranged father's funeral. At the funeral, she retreats to the woods in search of her father. A searing look at the practice of skin-bleaching within the African community and an examination of the idea that beauty has become globalised therefore, creating homogenous aspirations, and distorting people’s self-image across the planet. A tragic animation on love and marriage. A young man and a girl are having a secret love affair. In a society that will never support such an illegal relationship, the two are faced with a serious dilemma when the bed falls as they are making love and they run the risk of being exposed. When 8 year old Sara’s grandfather dies, the little girl looks for a way to say goodbye despite religious conventions. Presented in partnership with Bristol Mediterranean Film Festival. Celebrate 10 years of Afrika Eye with us at Watershed this November, with a focus on Senegal, kicking off with a very special opening night screening of Hyenas accompanied by music from Amadou Diagne and his Group Yakar.